Wanaka’s Koru Clinic is introducing a new therapy. 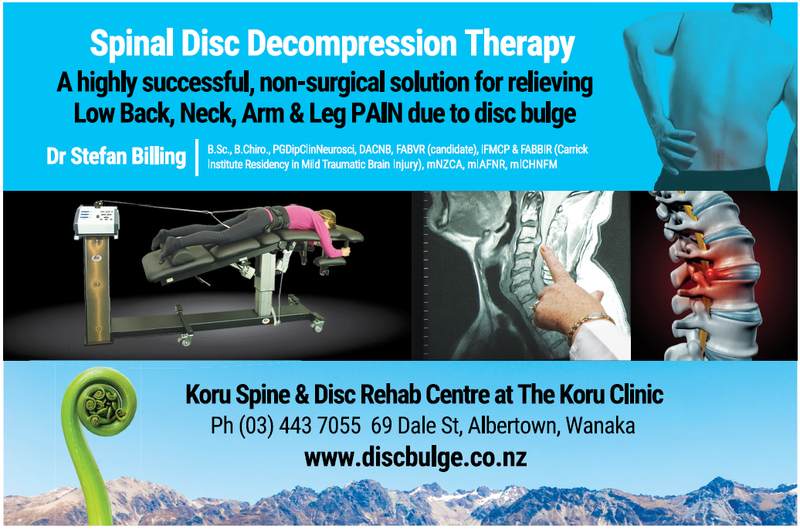 Dr Stefan Billing has trained in Pittsburgh, Pennsylvania, in the USA in a specialty field of rehabilitative chiropractic called spinal disc decompression therapy. Decompression therapy is a non-invasive, non-manipulation procedure that effectively treats disabling low back, neck, and radiating leg and arm pain, and headaches. It effectively relieves pain associated with disc herniation, degenerative disc, posterior facet, and compression-related syndromes, by reducing the pressure on spinal discs and facet joints through unloading created by distraction and positioning. Research to develop this procedure was constructed by prominent physicians, engineers, and technicians at major teaching hospitals. It is a highly successful treatment, when the full course is adhered to, for patients suffering from bulging, herniated, degenerative, or ruptured discs, as well sciatica, carpal tunnel syndrome, and many failed back surgery cases. This treatment helps patients avoid the risk of anaesthesia, surgical complications, and the potential of failed back surgery. Decompression therapy begins with an intensive phase of four treatments per week, each appointment 20 minutes long. Electrical muscle stimulation, ultrasound, or therapeutic laser may be applied to help relax muscles and promote further healing of injured tissues. 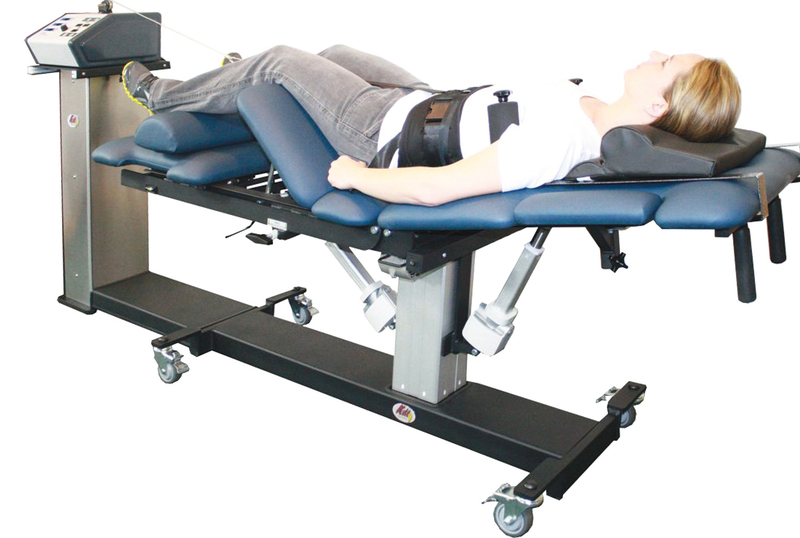 Decompression therapy is administered to patients fully clothed, either face down or face up on the table. Research shows that decompression therapy has a high percentage of preventing low back and neck disc patients from having to pursue surgery. By employing this new therapy, an osmotic interchange of fluid can be used to speed healing of the disc by up to 71%, healing it in less than 100 days, versus the 300-500 days needed for healing without treatment. * After treatment, your doctor may prescribe specific exercises designed to help you regain proper control and strength of the stabilisation muscles, which can help create long-term benefits. Decompression therapy is an approved procedure that is covered by insurance companies (check your policy).